Does increased longevity have to mean greater costs? Posted 31st August 2016 & filed under Ageing, Blog, Intergenerational Justice, Pensions. Which is worse for society – early retirement or the old living for longer? There is an interesting inconsistency in how we think about older people which may reveal something about how we can address the problem of worsening dependency ratios. This matters because in the UK the Age Dependency Ratio (the ratio of retired people to the working age population) has increased steadily since 1960, rising from 18% to 28%. According to the Office for National Statistics (ONS) this ratio will get a whole lot worse over the next 20 years. One cause of this worsening dependency ratio is people retiring too early, which can result in a feeling in the wider community that retirees are taking more retirement than they “deserve”; newspapers sometimes imply that people who retire too early are a burden on society. This sentiment was very widely expressed by Germans during the recent Greek financial crisis – when it was said that many Greeks were stopping work and taking retirement in their early 50s. We also see criticism of raising the retirement age from older-age lobby groups. But surely, in the interests of the economy and the health of pension funds (or reduction of state pension liabilities), we should create a system where people are incentivised, expected and helped to work longer. Our society has a strong belief in the sanctity of life and desirability of people living ever longer lives. So, even though the effect of longer lives is contributing to the economic burdens of young people, older people are not blamed. Unlike early retirement, having a long life is not a conscious decision. Another contributor to the worsening dependency ratios is the falling birth rates and increase in age of childbearing, but again, society is very reluctant to suggest to young women that they have a societal duty to produce babies early and more often. Whilst some countries have tried to increase their birth rates, it has proved very hard to have much impact on fertility, and in the short term (for the first 15–20 years or so) it is counterproductive anyway as it actually increases the number of dependants. Immigration can help with the dependency ratio problem both because immigrants tend themselves to be of working age and because they have higher birth rates in the first generation. But increasing immigration is controversial, and can have unforeseen political consequences, as the EU Referendum demonstrated. So if we need to improve the dependency ratio it looks as if raising retirement ages is going to be the only practical option. But these are being increased agonisingly slowly and there is no effort to “catch up” – to compensate for the 30 years from 1980 to 2010 when they “should” have been increased by about seven years if the ratio of working life to retired life were to stay constant. 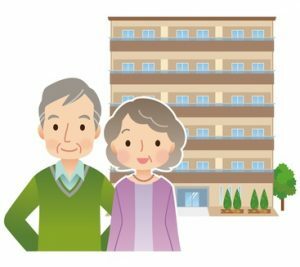 In fact, although life expectancies increase by about three years every decade it is not envisaged that the State Retirement Age (SRA) in the UK will go up to 70 until the 2060s. It looks unlikely that the SRA can be increased much more rapidly (though it should be! ), but perhaps we could increase the de facto average retirement age with some sticks and carrots. The abolition of the default retirement age has removed one barrier to people working longer, but much more can be done. For example, employers could offer the option of three- or four-day weeks to those who are over the SRA; they could offer longer holidays and allow more working from home. Government could help too, perhaps by restricting universal older benefits to those over 70 or over 75 (as they have done with the free TV licence) and using some of the many tax levers at its disposal. The Chancellor, Mr Hammond, will be 61 in December – let’s hope he’s keen to help keep his cohort out of retirement.